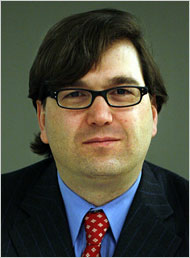 Jason Furman, Barack Obama's economic policy director during the Presidential campaign, is reported to be considered for a top deputy’s job in the White House or Treasury Department dealing with economics and fiscal policy. Before the campaign, he directed The Hamilton Project, founded by Robert E. Rubin, to develop new economic policies counter to those of the Bush era. During the Clinton administration, he worked on the President's Council of Economic Advisers, in the West Wing, and on the National Economic Council. He has been economics adviser to many democratic presidential candidates including both Al Gore and John Kerry. Center on Budget and Policy Priorities Liberal policy organization specializing in federal budget issues from a low-income perspective.